Kijiji provides lists of Apartments available in the Durham Region. Kijiji includes apartments in Oshawa, Whitby, Ajax, Brock, Pickering, Uxbridge and Scugog. Camp Samac is located in Oshawa, Ontario, Canada. Camp Samac is provided by Scouts Canada Properties in White Pine Council. Residence Inn Hotel by Marriott. Located in Whitby of the Durham Region, Residence Hotel provides guest with studio, one bedroom and/or two bedroom suites. 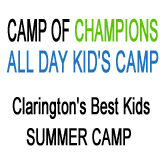 Camp of Champions in Bowmanville & Port Perry provides children in the Durham Region with the funnest Kids Camp around! Summer Camps, Winter Camps, March Break Camp, PA Day Camp and more. Free WiFi, TVs, expanded cable channels, free morning coffee, parking in all rooms. Also available minifridges. Kids 17 and under stay free with an adult family member. Real Estate Agent Shane Hamilton of Century 21. Fair, Honest, Professional Real Estate Services for Buyers and/or Sellers. Call Shane Hamilton today! Cedar Park is a family camp ground and water park. Also we offer a pool, water slides, splash pad, aqua playgrounds, mini golf, tennis courts, picnic areas, playground and covered shelters.